Is it possible to correct or erase a document that is closed? How do you begin an Invoice with #X? I have saved and sent out invoices and I would like to start with an Invoice number that follows in sequence with the last Invoice. In terms of the functionality's currently present, which ones will disappear within a month (depending on the frequency of use)? If a salesperson receives a commission on products sold, can the commission be calculated? Parameterisation and using your barcode scanner. Use EFY on multiple PCs via the Internet (only for single-user version). 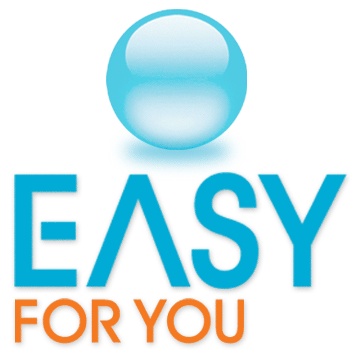 2) Download and install the trial version of EasyForYou on the new PC. Then encode and print a fictitious invoice (if required click button CD-KEY to receive your activation number). 3) Restart the new PC, but not to start the trial version! 1) Click the button "Purchase" in the toolbar. 2) Click the tab "Purchase" or "Inventory". 3) Top left, type "REG" like supplier (REG = supplier Code for the inventory). 4) Click the button "+" in the toolbar to add a new document. 5) If the product exist already, in the body of the document, simply select the product with the search button and update the quantity to be returned in stock (Use negative quantities to reduce the stock). 6) If the product does not exist, type the new Code in the body of the document, then type "Enter" and allow to "add the new record". In the document input the quantity to be entered in stock. Note 1: Outgoing stock automatically accounted for by either the sales invoices, receipt, picking ticket or cash-register. Note 2: Inventory and products valuation can be accessed from the menu List->Products (check inventory) then press button "OK". Preferably DO NOT use the C:\Temp folder for backups (see menu File->Users). "Easyforyou" automatically generates a daily backup in the specified folder in File>Users->Folder for your backup. By default, the software generates your backup in the folder C:\Temp, but it is preferable to choose a shared folder on another computer as your destination folder. The backup cycle is one week under the format easywin_X.mdb, X being the day of the week (1=Saturday). A backup is generated as well in the same place when updates of the version of your software Are executed in a file of this kind easywin_5update121719.mdb for the data and a file of this kind for the software: easywin030881142100.exe. It is suggested that you make a copy on CDROM of the complete folder where you installed your “Easy For You” software from time to time. 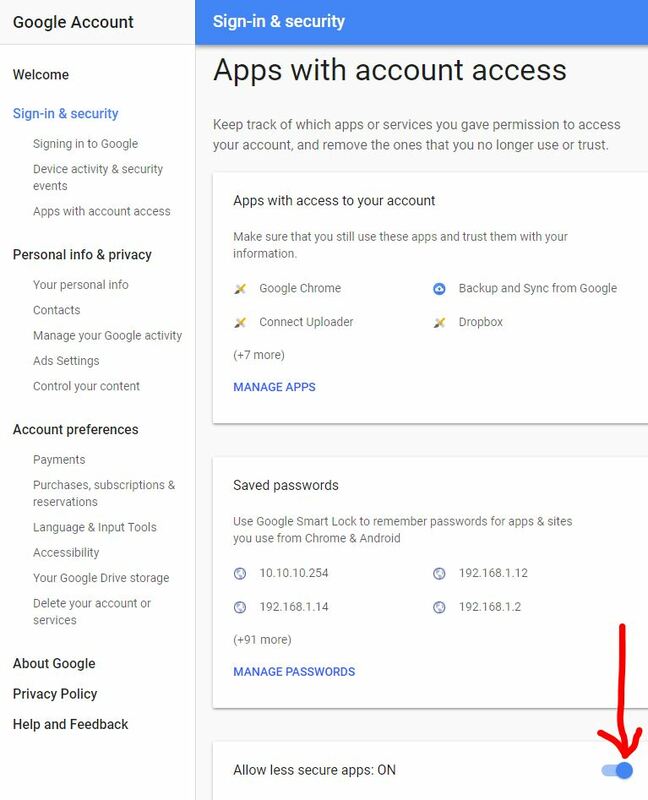 To make a free backup on a remote server (in the clouds), you can use https://drive.google.com (15 Gb of free space). Then in Easyforyou in the menu File->Users->Folder for your backup, you give the path of your local GoogleDrive (eg C:\googleDrive\Easyforyou). This is the best way to make a backup. If the restored backup is not the same level as your latest version of the software, go to the downloading page of our Website and generate an update of the software. 2) Click onto the menu Tools->Archive, archive the document in question. If you would like to reuse the document number, archive one document at a time and click onto YES to the question :Automatically recuperate the document number? (Note: This operation will erase the document and the products will NOT be added back into your stock) (See price list->module: EYFARC) NOTE: This operation is irreversible! Easy For You bases itself on your PC's internal clock to generate the first document of the new year. For example, December 31st, 2014, your last invoice is FT120140003453. On January 1st, 2015, Easy For You will generate the invoice FT120150000001. All options listed in the Price List menu of our site. - Next, in File->Document, in the Tools menu, preceding the "Sales" button, use the same code (D) as in the field “Salesperson Code” and you will obtain a list of documents or sales for Salesperson D.
-Share the folder “C:\program files\EasyNET” or " c:\Users\USERNAME\AppData\Roaming\EasyNet\Easy For You (To locate the folder, see the menu Help->Folder) " on the level EasyNet, authorise the Reading AND writing for the folder. - Then completely DELETE the folder "c:\Users\USERNAME\AppData\Roaming\EasyNet\Easy For You (To locate the folder, see the menu Help->Folder)" and the shortcut from the desktop too. In Windows->My Computer->Network, scroll to your server \\My Server\EasyNet - Map a network drive (Y: for example) to the server in folder \\My server\EasyNet with Windows->Explorer>Tools. - For the users who have the module EFYMDBACCESS at first start, rename the extention from the file (if exist) Y:\Easy For You\EFYMDBACCESS.cok in .cod - Search the program Y:\Easy For You\EasyWin.exe and click right to create a shortcut on the desktop of your workstation. Notice 1: The demo version is designed to test the software with a maximum of 2 users. Notice 2: For optimal use online, see the parameters in the menu File->Users->Files. Notice 4: In order to not have problems of writing rights in the register and in the different folders, it is preferable to give the administrator rights for all the EXE file. 6) To print the files, click the right button on the printer icon in document management, and then choose the transporters. You can choose to print a number of transport files equal to the number of products of the active document by default. 7) Adapt the layout by modifying the HTML code with the help of an editing style Front-Page or Dreamweaver in the files layoutsRefcustomer.htm by the printers’ brand-name with the help of an HTML editor, or by contacting our company to adjust the page setting. 8) Fill in the values and fixed text if necessary in layoutRefcustomer.htm the same as with an HTML editor. Fill in the 5 decreasing price scales by using the 1st price as the highest one. Fill in the 4 “By quantity” fields, (in the price encoding area on the right). Add as many brackets of prices or margins (choose the “Type” price or profit margin in comparison to price 1) for quantities of…to… as you like. In products management, select your category under the WEB tab (bottom right). Note: The type “Category Margin” or “Category Discount” allow you to calculate the profit margin or discount on price 1 of the products depending on the customer category. In customer management for customer ACBTEST in the category zone (bottom right) enter a category code of your choice; for example X. In the management of categories, create a new category, for example CARS and choose the type “Category discount”, fill in the description and save. Click the + button to add a category of customers for this category of products “CARS”. In the category, type X (your customer category) and 30 for the discount. In product management, create a new product, for example “CHEVROLET” and in the file WEB, fill in its category with “CAR”. From now on, in document management, when you make an offer or invoice for the product “CHEVROLET” for Mr ABCTEST, he belongs to the customer category X who have the right to a 30% discount, therefore the calculated sales price is price 1 in the products file, less the 30% discount. Serial numbers may be encoded in sales or purchases. To encode a product serial number, click on the body of the document to enter the edit mode in the document management (purchases and/or sales), then point the cursor of the mouse on the product Code, then click the right button. In the popup menu, choose “serial number” to open the serial number encoding window. These serial numbers can be encoded with the help of a bar code scanner that interfaces with the keyboard (parameterise a CR-LF for automatic entry) or manually. When encoding manually, the second field allows for the entry of a “series” of serial numbers that follow each other. If a document with this serial number exists, it will automatically appear and a popup will indicate the product Code for the serial number. In EasyForYou, go to menu Tools->Export products. EasyForYou will generates a file with MsAccess format (C:\Temp\ArtEFY.mdb) which contains the whole of the products present in EasyForYou. After having exported C:\Temp\ArtEFY.mdb, take this database as structure sample. You can modify the price of the products present in ArtEFY.mdb, it will be updated in EasyForYou during the re-importing. To add new products in EasyForYou, respect the structure of ArtEFY.mdb. Carry out a copy of ArtEFY.mdb in then folder c:\program files \easy for you while taking care to rename the file to import as ART.MDB. During the restarting of "Easy For You" the new products will be imported and the price of the existing products will be updated. Caution: following this operation, file ART.MDB will be automatically deleted. In the field CLEF (product Code) , only numbers, capital letters allowed. No spaces allowed in this field! Only the sign "-" (less) is accepted in the field CLEF and CLE2. In the fields texts, do not use apostrophes or star (*) . For the quantities, not to update field QUAN (quantities) directly but to pass by the encoding of the purchases - > Inventory. Under the back-order tab, select the specified customer by double-clicking the corresponding line of the document. Only the lines corresponding to a fill in delivery disappear from the table after invoicing. The corresponding order is automatically closed when the total of the products have been delivered. Delete the field us-Name1, us-post and us-City that must be represented in the heading of your new document. 4) Test your new page layout by printing several different documents. NOTE, as long as you do not have the official EFYLAYOUT licence at your disposal, the amounts will be replaced by the word "TEST" or 0 and the software will post a message such as "Licence EFYLAYOUT for c:\...\layoutmod.htm is invalid"
5) If you are satisfied with your new page layout, please send us your file layoutmod.htm by attachment for approval. 6) Once you have received an approval, you may order and pay for the module EFYLAYOUT. 7) As soon as your payment has been received, you will receive the official licence in an attachment via email. 2) Parameterisation of barcode scanner (keyboard interface). No character (ENTER) after scanning but SPACE. 3) Scan the barcodes from EasyForYou. In document management, choose your customer or supplier, then the type of document followed by the + button or F2 to add a new document. From this moment, the focus automatically passes into the bottom grid to the encoding of products and you may begin the data entry of your barcodes with your scanner. If the barcode Code of the scanned product does not already exist in your product file, EasyForYou prompts you to create a new product form. Before update, please STOP first all other sessions from the Application Easy For You in the Windows Task Manager. In the Menu Tools->Update software, check if the date of license is OK-> 20? ?, Otherwise click the menu Tools-> Calculation of the price of your update, order the license and return to point 1. Wait until the update if finish and re-start EasyForYou. Verify on each workstation that no easywin.exe session is open (see Windows->CTRL-ALT-DEL->Task manager->Applications). Execute a test (on the server if you are on the network) by renaming easywin.exe and easywin.mdb to easywin2.exe and easywin2.mdb. If Windows authorizes the name change of both files, you can be sure that no one is working in the EasyForYou program. In the properties of the shared folder for the network, please DO NOT SHARE THIS FOLDER until the update takes place normally. (On the server, if you are working on the network) rename easywin2.exe and easywin2.mdb with their original names easywin.exe and easywin.mdb. Wait for EasyForYou to restart. 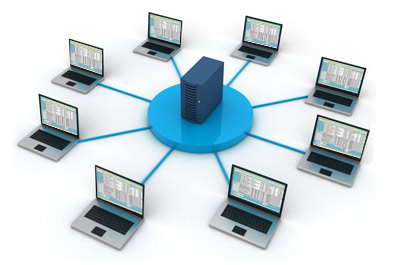 In the properties of the shared folder for the network, re-authorize the sharing of the folder. You can download the last version from here. Windows->Start button->Parameters->Settings->Add/Delete program->Easy For You->Delete. fill inly delete the folder EasyForYou in c:\Users\USERNAME\AppData\Roaming\EasyNet\Easy For You (To locate the folder, see the menu Help->Folder). Three templates of reminders are available. Menu File->Users->Activate the automatic invoice reminder system. Reminders are generated, with the first starting and this once per day. The genarator print the remind letters to be sent for the unpaid invoices. 2) In the management of the customers, the category of invoice reminder is NOT on "No Invoice Reminder"
3) the due date of the invoice + the number of days indicated in the field "Level 1" (15 days by default) is exceeded. 3) the date of the first reminder (visible on the bottom of File->document) + the number of days indicated in the field "Level 2" (15 days by default) is exceeded. The remind letters of level 3 (formal warnings) is generated according to the same principle as the remind letters of level 2 by holding account of the level 3. Modification of the models of letters. In the grid of buttons (3 levels and 6 languages) for editing the remind letters, it is possible to edit the HTML templates while clicking on the corresponding button. By Checking the boxes "From level", you can parameterize dunning charges Or interest rate which will be calculated starting from the due date and will be added in the reminders. The default category of invoice reminder will be taken again automatically when adding of a new customer in EasyForYou. Since the management of the documents (only available in the invoices tab): Click the "Not Paid" button, then click the right button of the mouse to filter and to show only the invoices having a reminder of level X or to post only the generated reminders this day. A right click on the number of a document show the contextual menu, choose "Invoice reminder" and the level wished to pass the invoice. A right click on the printer button for printing a reminder letter (Same for the email and preview buttons). If you do not have a network version of EasyForYou (EFYNET...), the database will be open exclusively, consequently to carry out the following operations STOP EasyForYou. In the folder of the database easywin.mdb (in theory c:\Users\USERNAME\AppData\Roaming\EasyNet\Easy For You (To locate the folder, see the menu Help->Folder)), to create a new blanc database with Ms Access which you name EasyWin_the_name_of_your_company.MDB. In the new database, click the "New" button and choose "link”, then select c:\program files\easyforyou\easywin.mdb finally click on the button "Link" to attach the tables. 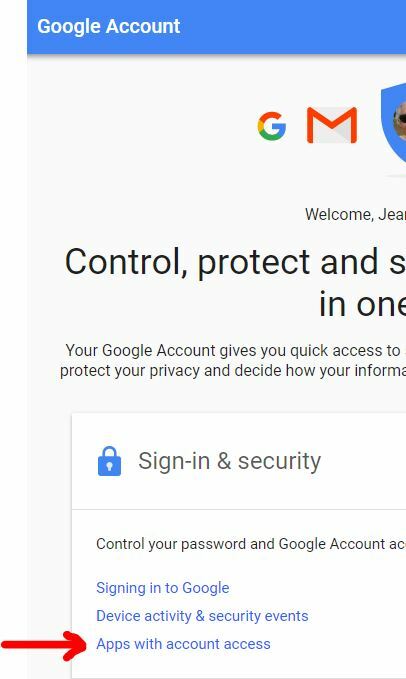 Enter your password which is in Accesstomdb.txt. Choose and select the tables, so your database is ready. In this way, at the time of the updates of EasyForYou your personal MsAccess database will not be affected. 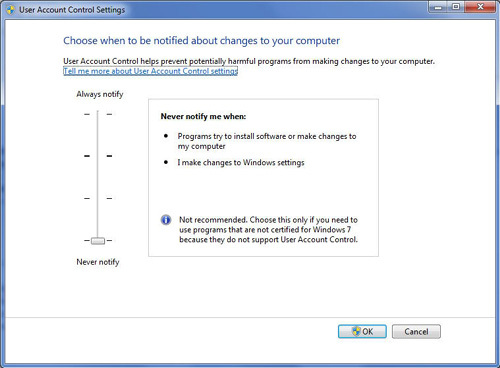 2) In Windows, click the RIGHT button of your mouse on the "Start" button, a contextual menu will appear. 3) In this contextual menu, click on “Explorer"
4) In the left part of the Explorer, click on “Work-Station" - >Disk (C:)- > click the folder c:\Users\USERNAME\AppData\Roaming\EasyNet\Easy For You (To locate the folder, see the menu Help->Folder) as in the picture. - (*) If you do not see the extensions in your exploreer, click on menu Vieuw->Details. 6) Right-Click on easywin.mdb, and in the contextual menu, choose “Compress and E-mail”. 6) Right-Click on easywin.mdb, and choose contextal menu "Rename" and rename the file towards easywin-old.mdb (if easywin-old.mdb already exists, please beforehand erase it). 7) In your E-Mail software, double click on the received attachment (the file easywin.zip). 8) When Winzip is Open, select ALL the files contained in the ZIP. 9) In WinZip, click the button “Exctract To” and to choose the usual folder of your “Easyforyou” software (in general c:\Users\USERNAME\AppData\Roaming\EasyNet\Easy For You (To locate the folder, see the menu Help->Folder)). 10) Unzip and overwrite the existing files by ALL those contained in ZIP file. Gettext Replace or translate a text in the program : AAA=old- (EN) NOT FOUND text- (EN) NOT FOUND BBB=your- (EN) NOT FOUND translation- (EN) NOT FOUND Add a line in the ALL.ini file with GettextAAA=BBB and save. Activate the management of the special taxes or another supplement systematically dependent on certain products. You can add several products ECOTAX1, ECOTAX2, ECOTAX3… (exactly like a product, in so far as its Code starts with ECOTAX or REPROBEL, it will be selectable in each products produced. Note: Taxes ECOTAX, RECUPEL REPROBEL, BEBAT, AUVIBEL can be or not calculated according to a percentage of the price on which the tax is dependent. 8) Other solution : Sometime the internet explorer work to slow (because of anti-virus or other...), the communication between easyforyou and the Internet explorer is to fast or to slow. In the root folder from EFY, near the easywin.exe, You create a text file mamed ALL.INI (see Possible parameter settings by INI Files ) and include the variable WaitCoef=3, restart EFY and test the printing, if that work not try with WaitCoef=4 , and so one, each time restart easyforyou. Start the trial version and input te information for your company. Some are VAT inclusive, are difficult to obtain (magical prizes) in the documents.